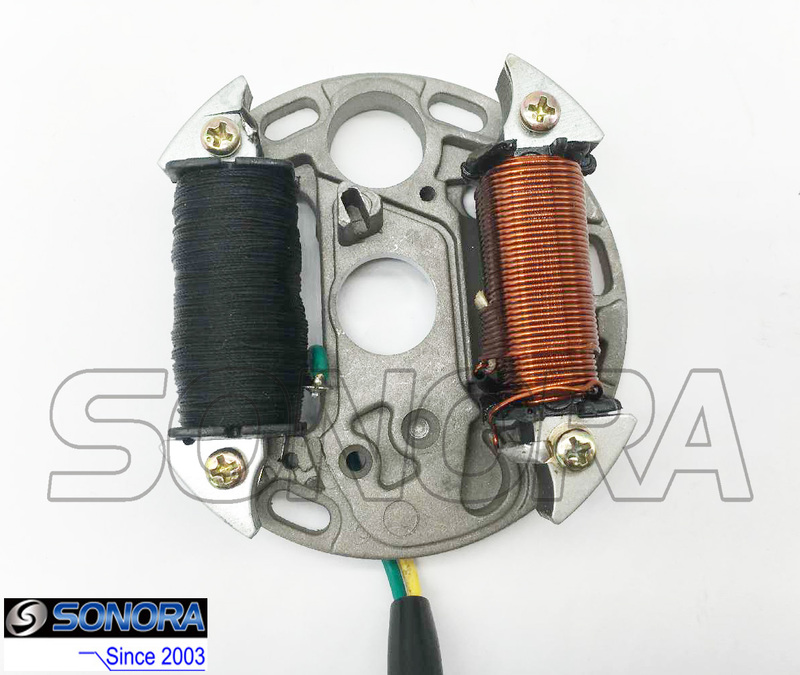 1*2 Poles Puch ZA50 Stator,there are other models of stator magneto ignition for Puch, if you want the stator for the exact model, please feel free to contact us. Green wire goes to your CDI box, yellow wire is 12v lights and should go to your regulator. This version is also usable on some sachs, derbi, and tomos, as they have the same taper, stator mount and rotation, hackerz enjoy. Old moped Puch is famous around the world,people would like to assemble the attractive body part and the performance engine part, and give the old moped bike complete new life. This stator coil is with 2 connection cables . 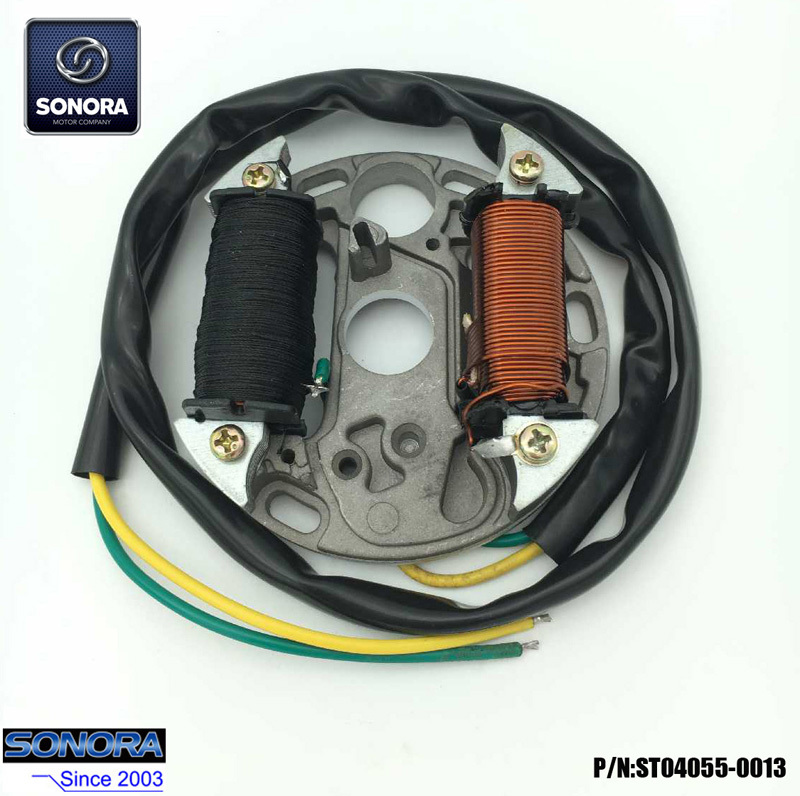 Different motorcycle model, big possible that different stator and with different plugs.If you require the the exact model Stators, please don't hesitate to tell us.We help you to find the part you require quickly. This is an 1 x 2 poles Ignition Stator Magneto.It is made of good quality pure copper wire, and giving stable and reliable performance,help the bike easy to ignite, work smoothly. Looking for ideal Puch ZA50 Stator Manufacturer & supplier ? We have a wide selection at great prices to help you get creative. 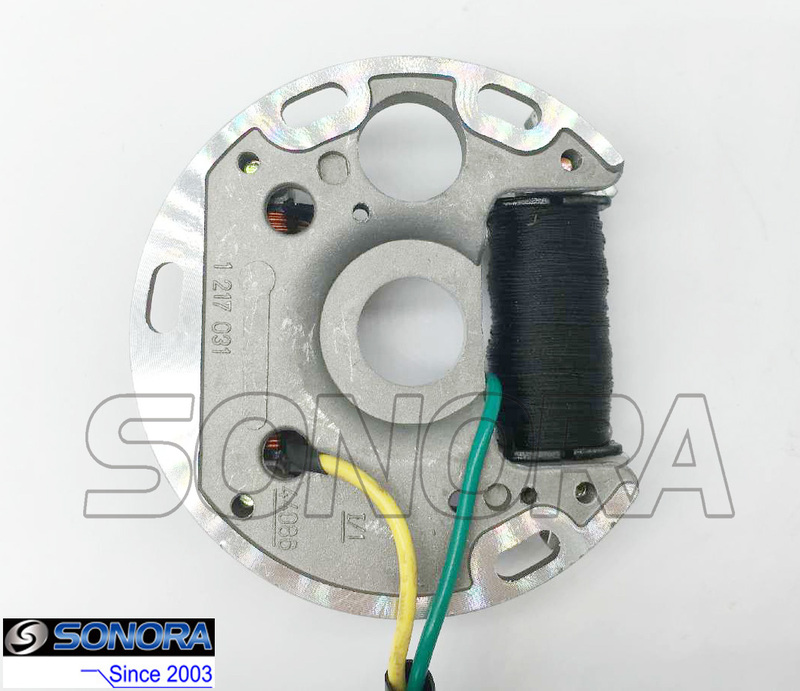 All the Puch ZA50 Stator Magneto are quality guaranteed. We are China Origin Factory of Puch ZA50 Stator Ignition. If you have any question, please feel free to contact us.